The future for “True Detective” just got a bit brighter. Despite a universally panned second season and reports that a third season of the HBO crime anthology series isn’t looking too good, one of its most beloved stars said he would return for another season. Matthew McConaughey, who starred on the show’s acclaimed first season and earned an Emmy nomination for the role of Rust Cohle, had good things to say about the experience. After coming off its successful freshman season, “True Detective” suffered during its second season — which starred Vince Vaughn, Colin Farrell, and Rachel McAdams — with both critics and fans. It has been reported that HBO isn’t going forward on a third season and creator Nic Pizzolatto is moving on to a different project under his contract with HBO. 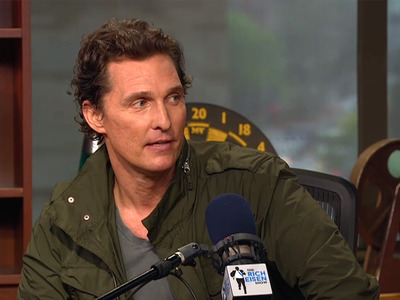 McConaughey, though, said a Rust Cohle return could happen.